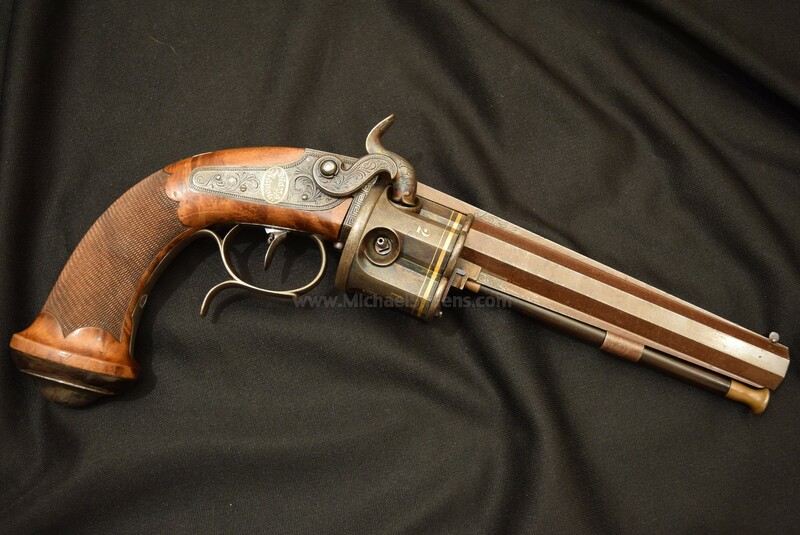 This is an absolutely wonderful and extremely rare percussion system Collier style revolver made by S. Mazza of Naples, Italy, probably c. 1835 - 1845. 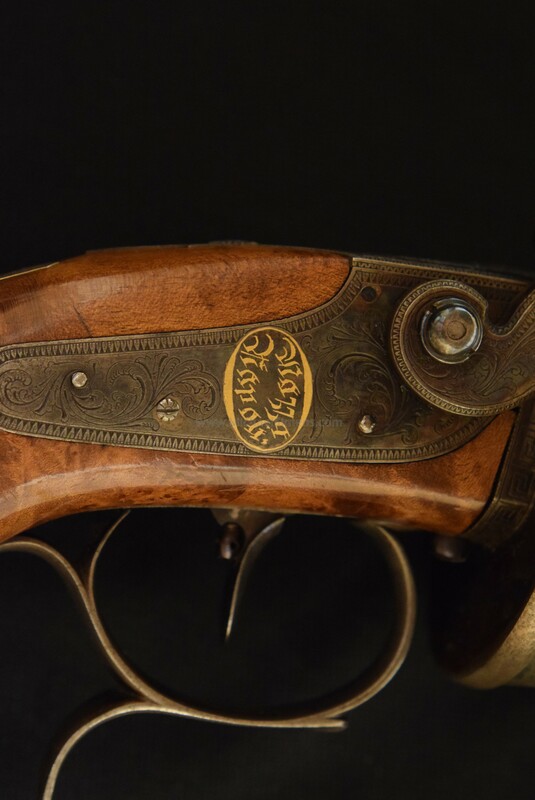 The gun is in beautiful condition showing almost all of its case hardening on the cylinder and hammer, all of it's browned lacquer striping on the barrel and nearly 100% original finish to the grips. 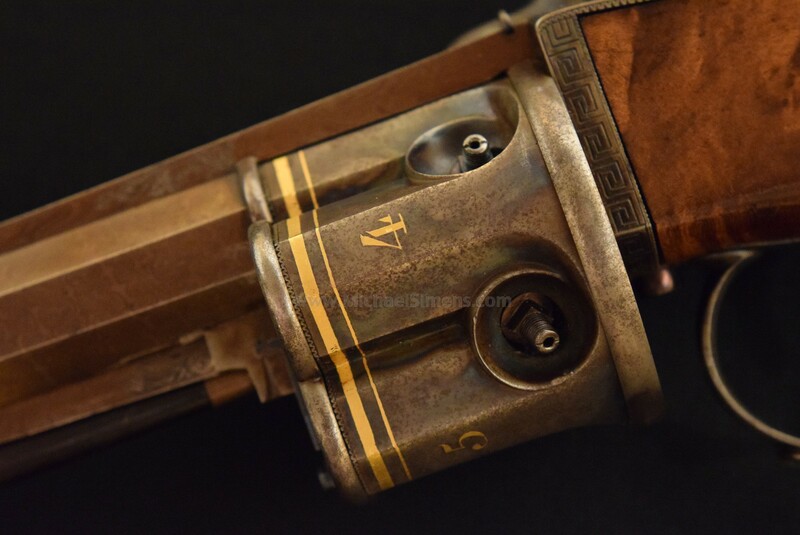 Maker name and barrel presentation are gold inlaid as is each of its five cylinder chambers. Metal parts are tastefully engraved and the grips are checkered in expert fashion. This is the usual hand-turn Collier system and it is crisp as new. 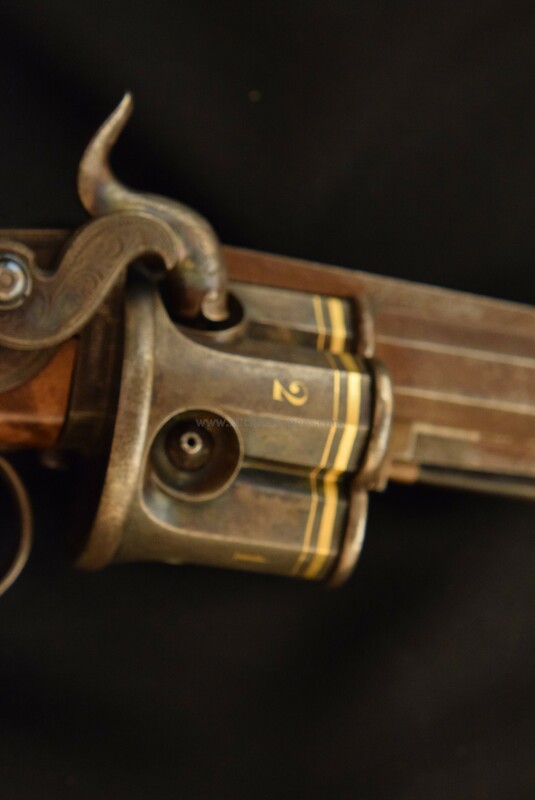 I could find only a few other guns by this maker, a fantastic revolving pin-fire rifle and a hunting rifle, both gold inlayed in similar fashion with the Revolving Rifle chambers gold inlayed in the exact same font style as this revolver. 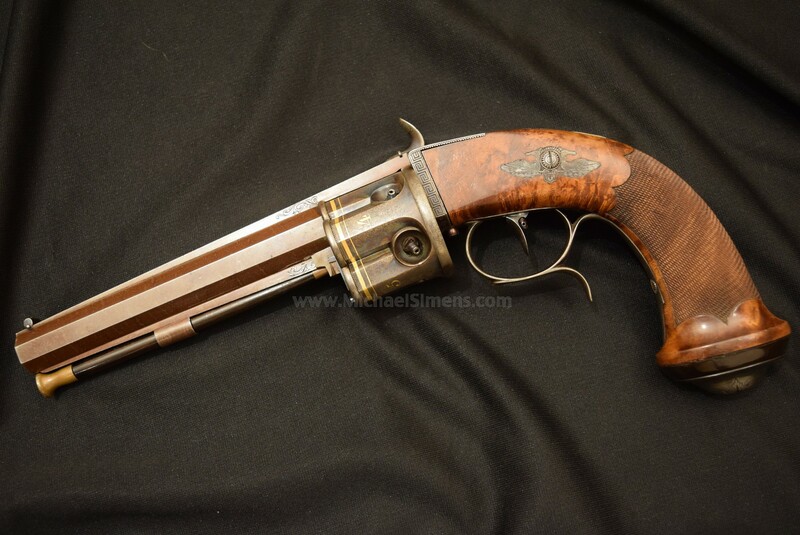 This is the third Collier Revolver I have owned, and the only percussion I have ever seen. To find it in this condition is a near miracle. Leopoldo Giovanni Giuseppe Michele (2 July 1790, Naples, Kingdom of Naples – 10 March 1851, Naples, Kingdom of the Two Sicilies) of Bourbon lived in the provinces known as the The Kingdom of the Two Sicilies and was a member of the House of Bourbon-Two Sicilies and a Prince of Bourbon as well as Prince of Salerno during the early 19th century. 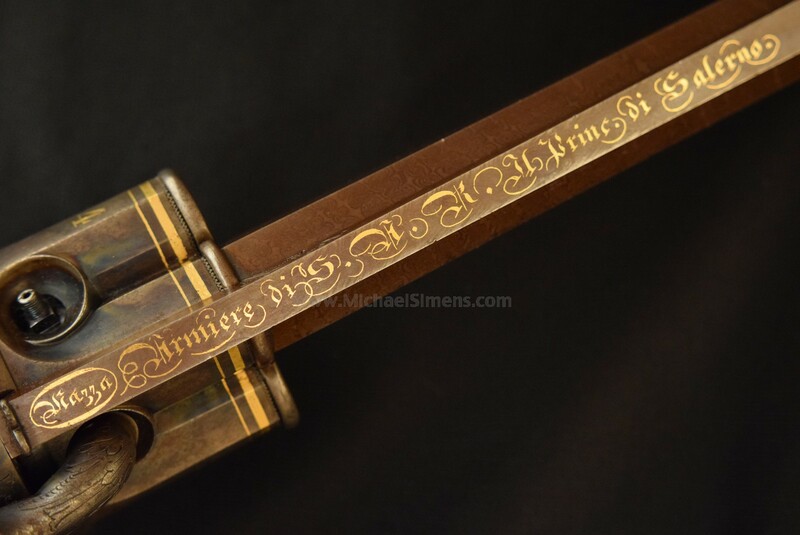 This is unquestionably a museum quality antique firearm.